El Limonar International School Murcia is an international, British curriculum school founded in 1990. The school prepares its 650 pupils for further education both in Spain and abroad. The school values both the academic and social development of each pupil through individual attention and multilingualism. El Limonar International School Murcia follows the National Curriculum for England and Wales and offers its pupils IGCSE and A Level examinations. The school is accredited by NABSS (National Association for British Schools in Spain), is recognised by the Spanish Ministry of Education and is an approved examining centre for Edexcel as well as being a Preparation Centre for Cambridge English Examinations and Trinity College Examinations. The School is part of the Cognita group’s European division and a member of COBIS (Council of British International Schools). About 80% of the school day is taught through English. That is all subjects except for Spanish Language and Culture, and a third language (French, German or Chinese) from Year 6 onwards. Class sizes vary according to the subject taught though the maximum group size is 26. The school follows the academic year September to June as published by the Spanish Ministry of Education. The school day runs from 9.10am to 4.30pm and optional services include transportation and, extra-curricular activities. The dining service is compulsory for Early Years to Secondary pupils. A-Level pupils have the option of school lunch or packed lunch. The School site, since 1994, is set in 63,000 m² of grounds in El Palmar, on the outskirts of Murcia. The school comprises six buildings and consists of classrooms averaging 50 m² in all key stages. In addition, there are two computer suites, three science laboratories, dedicated music and art rooms, an outdoor theatre, Early Years multi-use room, a multi-purpose examination and assembly hall and Guidance Department, staff rooms, meeting rooms, offices, kitchens and two dining halls. 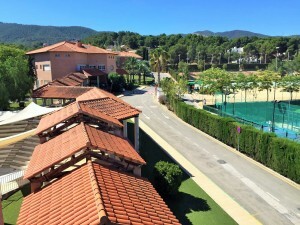 Outside there are magnificent sports facilities: tennis and paddle-tennis courts, a 25m swimming pool and sports fields. As well as this, Early Years pupils have an outdoor learning area and a playground and Primary and Secondary pupil have also dedicated playground areas. El Limonar International School Murcia is part of Cognita, a world leading international schools group, currently encompassing sixty-four schools across three continents. The group employs some 4,000 teaching and support staff in the care and education of around 27,500 pupils from the age of 1 to 18 years.